With the Toucan, You can! 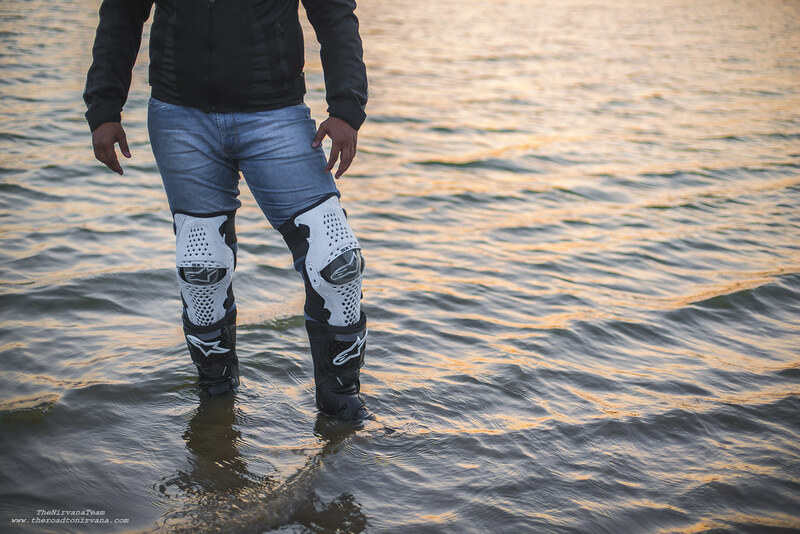 In this article, we’ll briefly talk (and walk) you through the Alpinestars Toucan Motorcycling Boots in India. Our review will help you understand whether this is the pair of adventure boots you should go for! 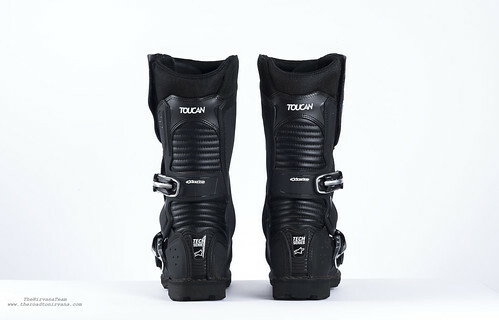 The Alpinestars Toucan Motorcycle Boots! 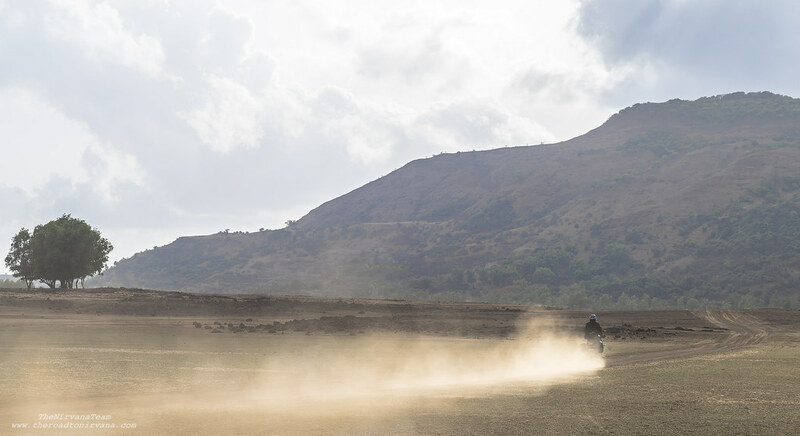 Adventure motorcycling in India is fast catching up. Manufacturers are rushing to our shores with their machines, trying to bank any spare penny that the Indian tourer may have to invest in their products. Well, motorcycles aside, what often gets talked about is quality riding gear to go with these adventure machines. A good helmet, a great riding jacket, good pair of gloves and a functional yet hardy pair of boots which will get you through thick and thin – that’s what’s on any true rider’s gear list. Well at least that’s the idea, anyway. Here in India, buying quality riding gear takes a little doing. Very few places to test out the big brands, check the look and feel etc. If premium gear is what one is after, in all probability one will have to wing the sizing and bet ones money on a leap of faith while ordering these pieces. This time, we bring to you the Alpinestars Toucan Adventure Touring Boot. A boot we’ve lusted after for a while. A boot that’s almost mystical in its concept and a boot we’ve got our hands on recently! They say it can take anything any tourer worth their salt can throw at it. So does this thing really match expectations in India? Read on. The Toucan is a premium motorcycle touring boot and costs a hair under INR 30000/-, which includes a 41% import duty. 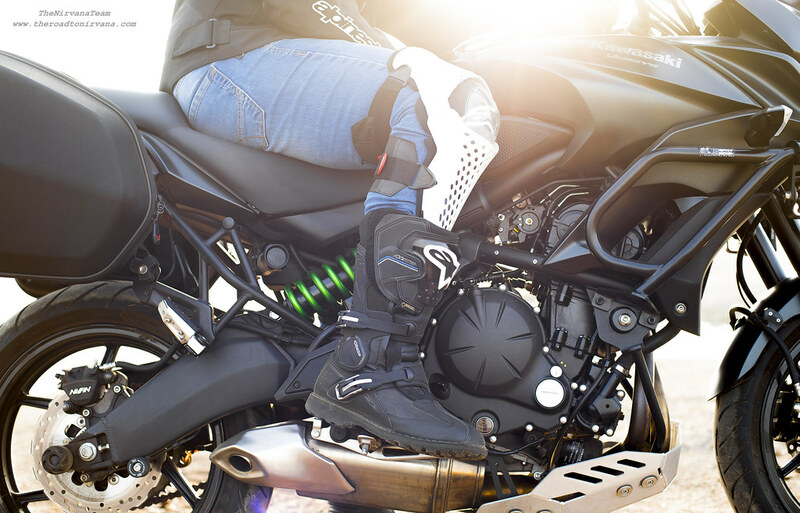 The boots aim to incorporate features of Alpinestars’ top of the line dirt-riding boots and safety aspects from the years worth of research and experience they have gained in creating riding gear for all types of motorcycling. 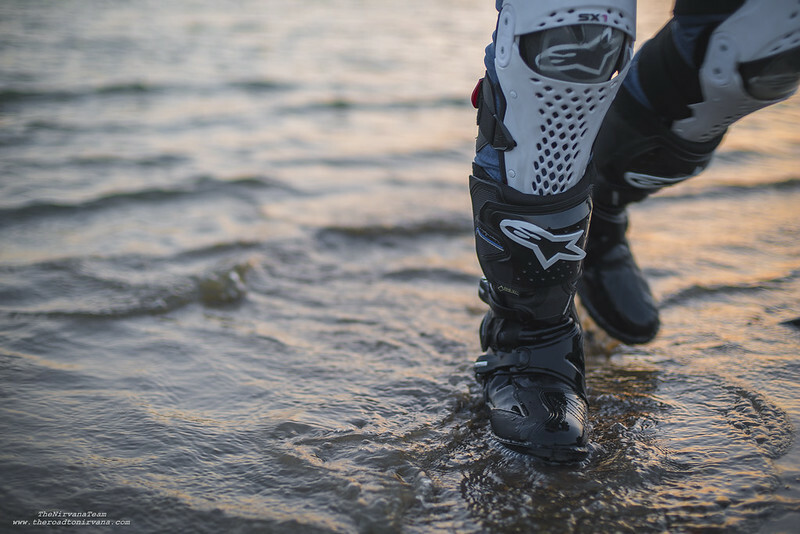 All that means little if these boots don’t keep a rider’s feet cool, dry and most importantly – safe while out on the Indian road (or off it!). Studio images for the Alpinestars Toucan Boots, shot at our in-house studio at TheNirvanaTeam HQ! When you first put on the Toucan Boots, you’re gonna panic. They feel extremely stiff, offer limited movement and make your heart sink. Putting these boots on for the first time made me feel like it was a waste of 30 grand. I probably wouldn’t be able to ride the bike with the foot freedom I was used to anymore. I even considered not riding with these boots at all, yes! Once I calmed my disappointment however, I read the owner’s manual. There it was, the manual clearly states that the boot will be quite stiff when you first start using it and will loosen to fit aptly in due time. 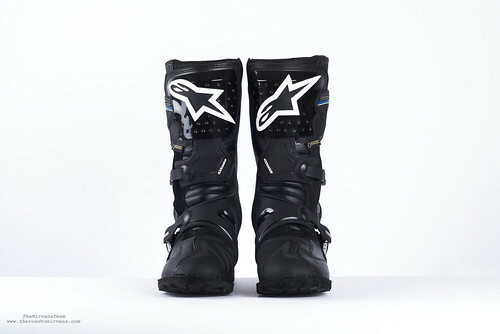 Alpinestars even advises one not to size up if the boot fits snug when new. Walk in the boots. Keep walking and flexing the boots to get used to them and let the boots adjust to your feet. The Toucan is a big boot and may be a tad overwhelming initially but bear with it. After a while of walking the boot, I got on to the motorcycle and took it for a ride. Leaving town with the Toucans! The gear shifts were tougher to make now. Braking no longer remained a casual flick of the foot, it now had to be a more conscious effort. Riding with this boot takes some getting used to. Was I comfortable? – Yes. Were my feet sweating? – Very slightly. Were the gearshifts easy? – No, especially at the start, since the boot is new and stiff it takes quite an effort to get the gears to shift when you need them. It does become easy as one keeps riding though. Was rear braking easy? – No, I had to alter my braking style and be conscious of the amount of weight I put on the brake pedal. Since the boot is heavier than the ones I was used to (SMXs), usual force applied seemed too much. I got used to it eventually. Are the boots easy to wear? – Absolutely, the boots are a breeze to wear and take off. The aluminum arrowhead buckles make the boot very easy to use. Can I walk with the boots on? – Yes, it gets easier with every step. Can I hike/trek with the boots on? – Hell no. Are the Toucans waterproof? – Yes, you’ll be amazed. The Gore-Tex membrane keeps all water out 100%! Are the boots prone to slipping on wet surfaces? – It is possible to slip in these boots. Do not take a chance. Are the boots easy to live with? Big boots seldom are but the Toucans do the job they were meant to do very well. So taking that into consideration, yes, the Toucan is easy to live with. Alpinestars Toucan Boots, SX-1 Knee Guards, Apex all-weather gloves and the Air Jacket – a perfect harmony! You will buy this boot only if you’re in search for the best that’s out there for your feet. It cost us just under INR 30,000/- to import it to India from Germany, with a 41% import duty included. So, it does cost a pretty penny. If you’re still interested, you probably intend on doing some great travel with your motorcycle. After getting into these boots, you’re going to want to ride far and ride hard. With the Toucans on and adapted to your feet, you can ride far and long. Comfortable cruising on the highway is a pleasure as there is lesser need for rider inputs. On the trails too the boot manages to support ones feet very well. Should you have a brush with the dirt, rest assured that the Toucan will perform well. Adventure riding is where the toucan shines beautifully. Give it dirt, give it dust, give it mud or splashes of water while you tease your comfort zone exploring new horizons – the Toucan will thrive. Then, just clean up and head out again! Disclosure: This is not a sponsored post. All views represented are personal opinions of the writer based on his experience with the product showcased. 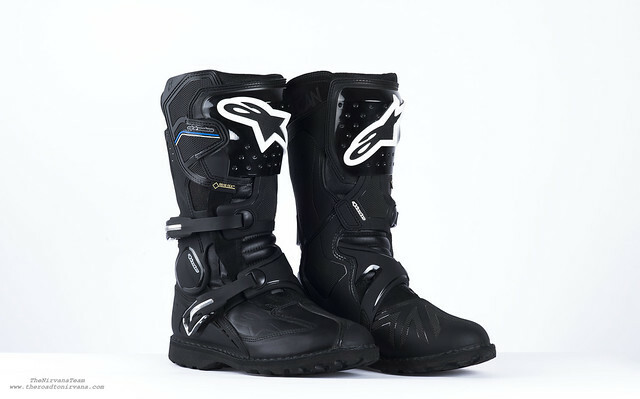 Product: Alpinestars Toucan Motorcycling Boots. Photography for this piece has been delivered by our Lead Photographer – Nipun Srivastava and assistant photographer Kaustubh Khare. Model: Our resident adventurer, Nipun Srivastava. 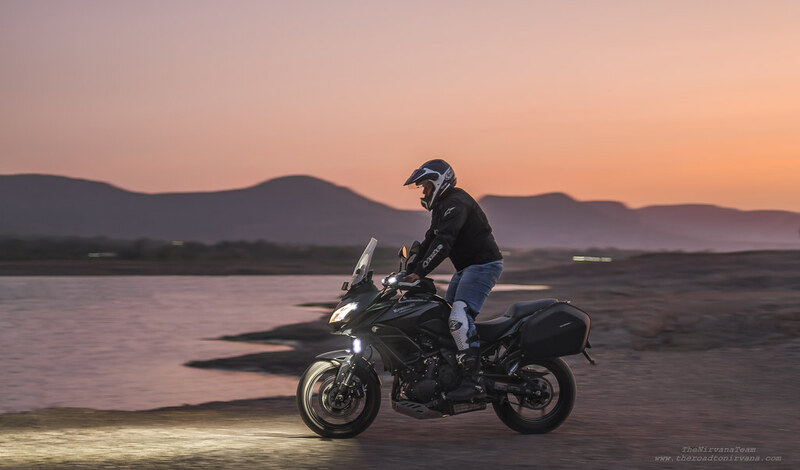 Vehicle: The Versys 650 ABS. This entry was posted on June 21, 2017 by Nipun Srivastava. 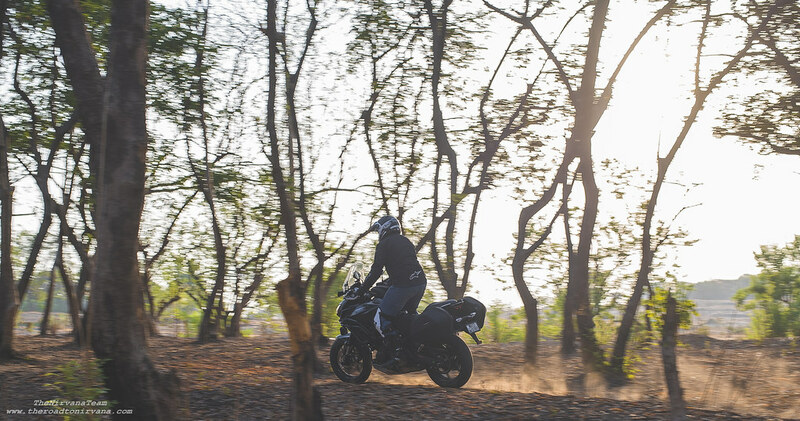 It was filed under Motoring and was tagged with adventure, alpinestars, boot, boots, india, kawasaki, motorcycle, Nipun Srivastava, photography, thenirvanateam, toucan, Travel.